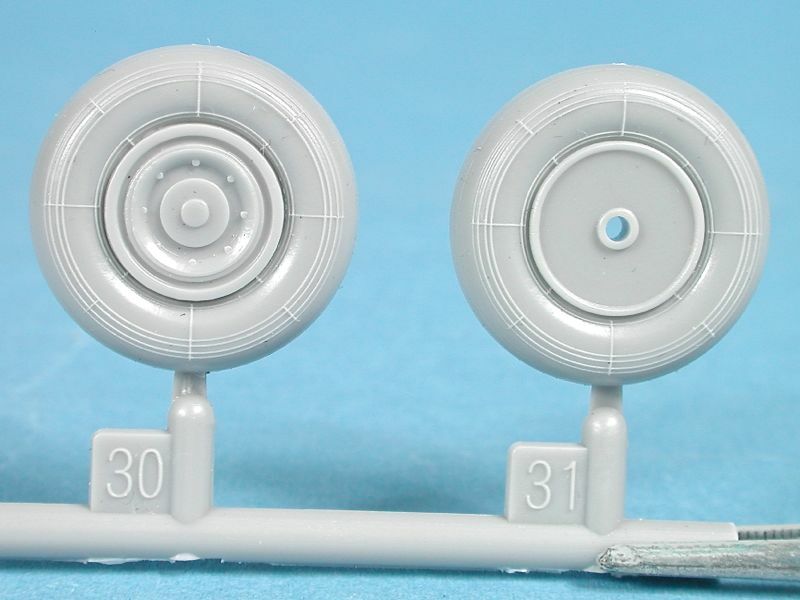 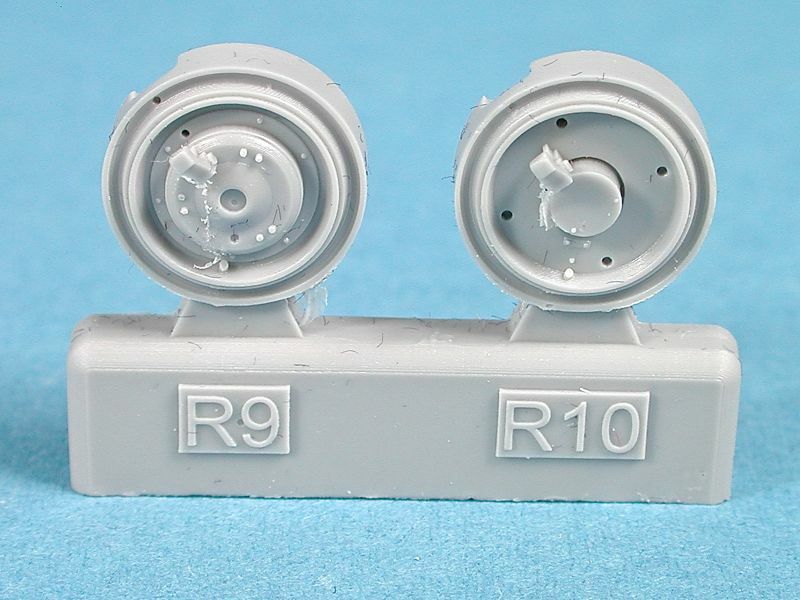 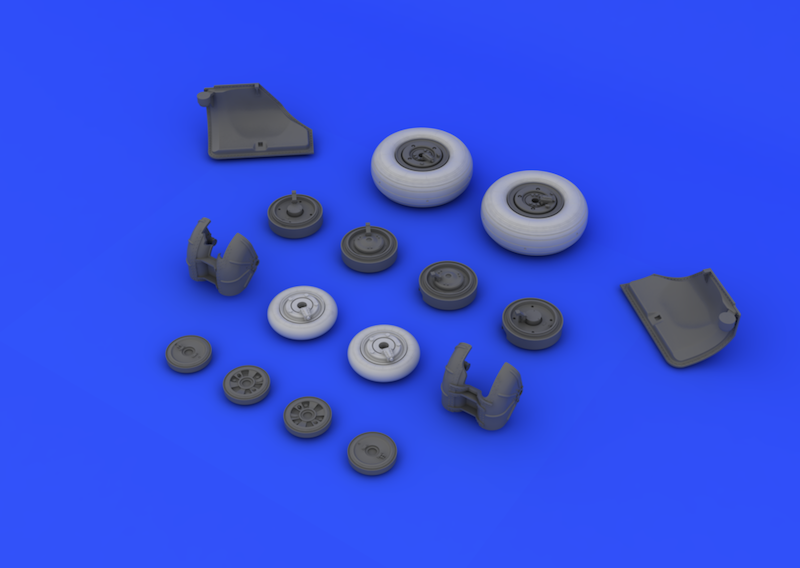 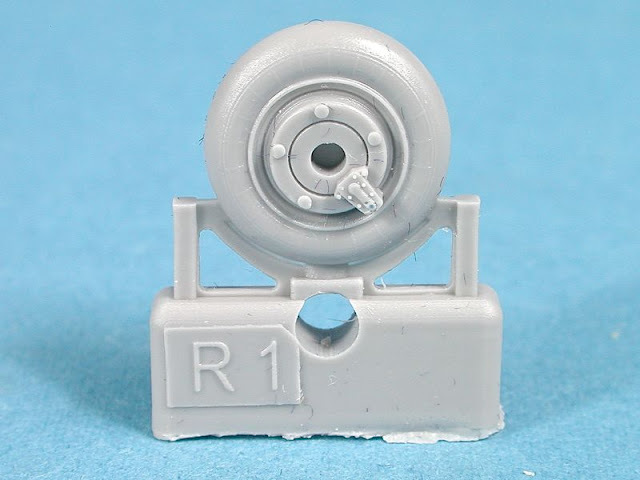 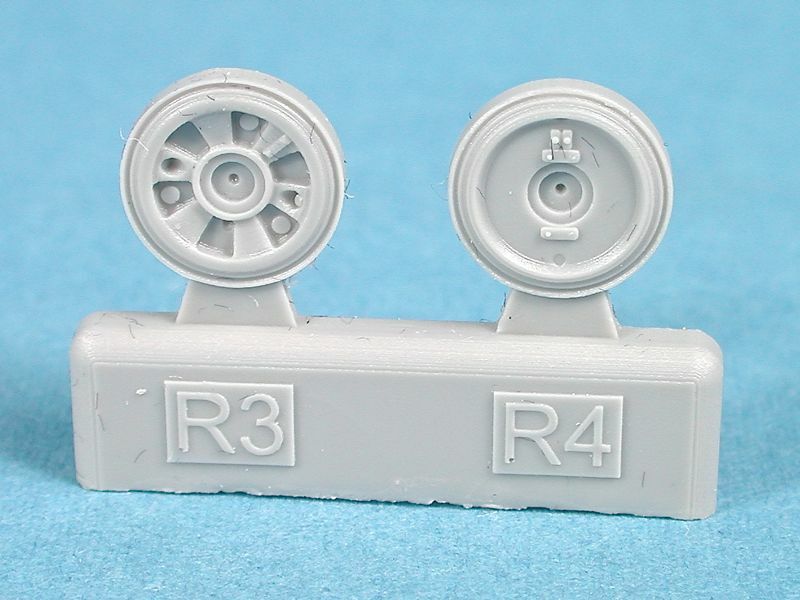 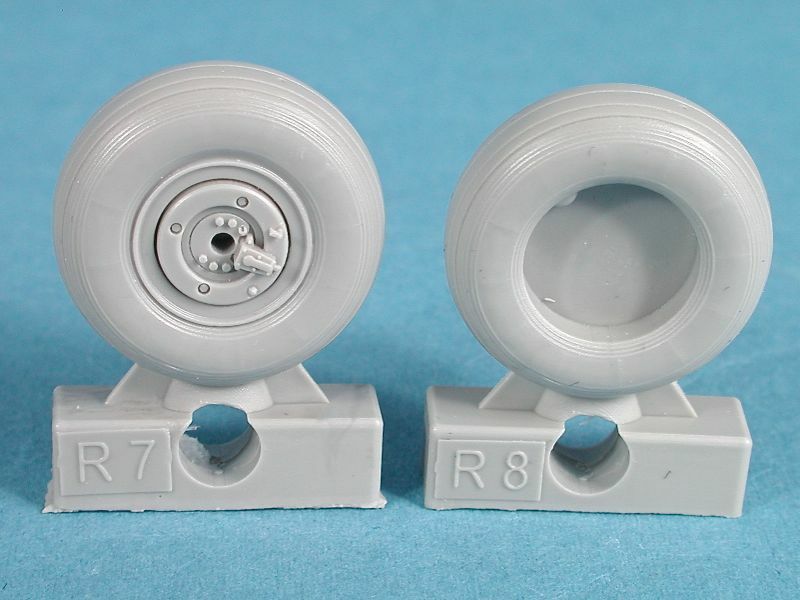 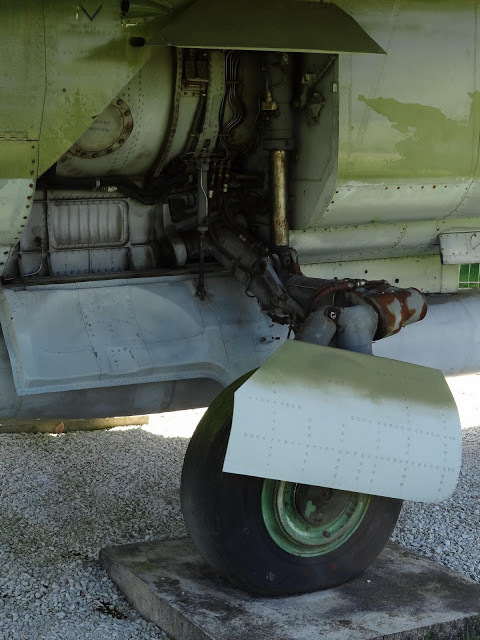 As with most of the Eduard Brassin detail sets, this MiG-23 Wheel set is designed to be a direct drop-in replacement for the Trumpeter kit parts. The resin offers an enhanced level of detail over the plastic parts and also corrects some shape issues with the main gear doors. 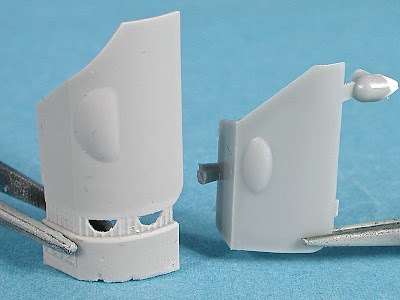 The photos provided by Eduard on their website are nice and clear but I always find they don't show the parts closely enough for me and they never show them side by side with the kit parts, which I like to see to allow a direct comparison when I am deciding whether to buy. 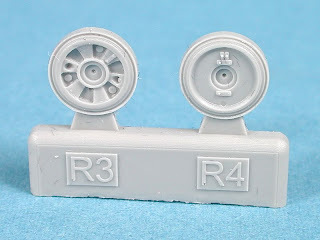 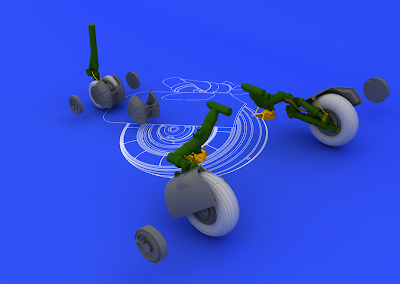 Resin Main wheels, left and right. Alternate main wheel discs depending on whether you are building an M or MF variant. Check your references because Eduard does not indicate which is for which version. 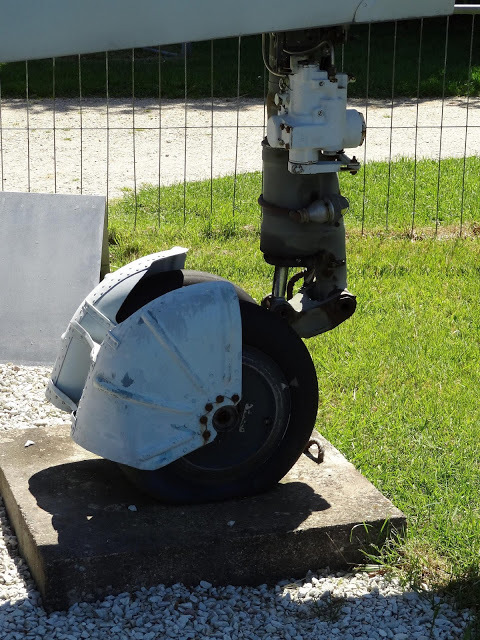 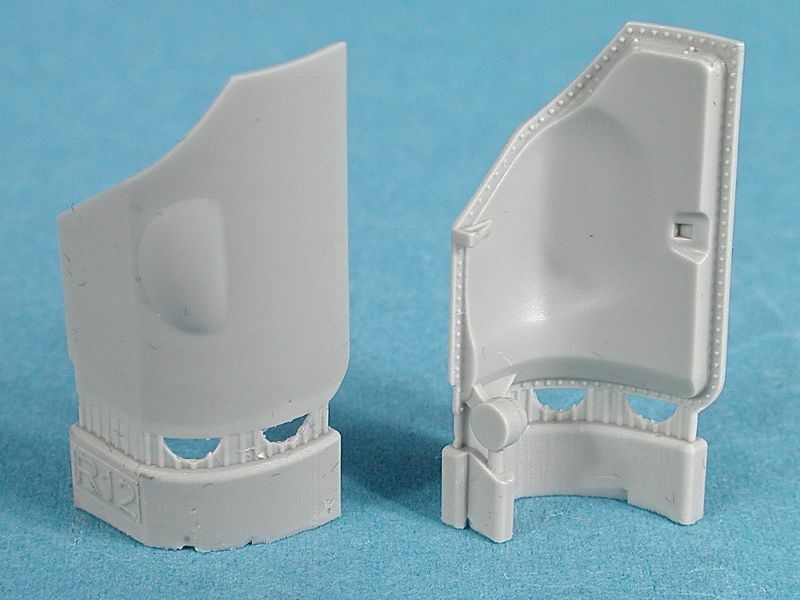 A direct side by side comparison of the Brassin (left) and kit nose wheel fender (right). 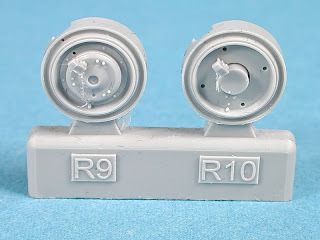 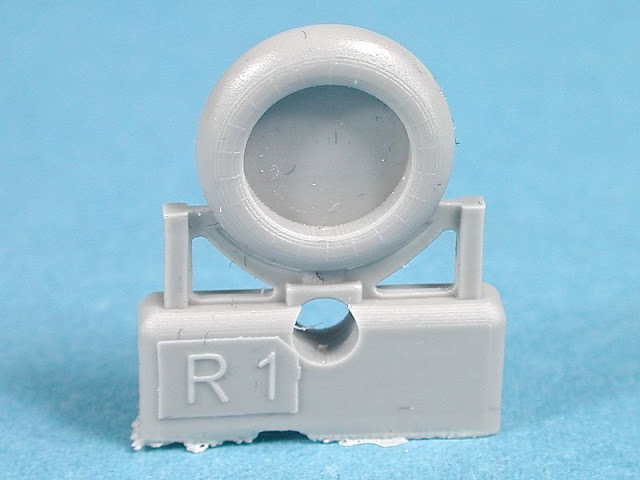 The resin nose wheels have subtle ribbing just visible in this photo. 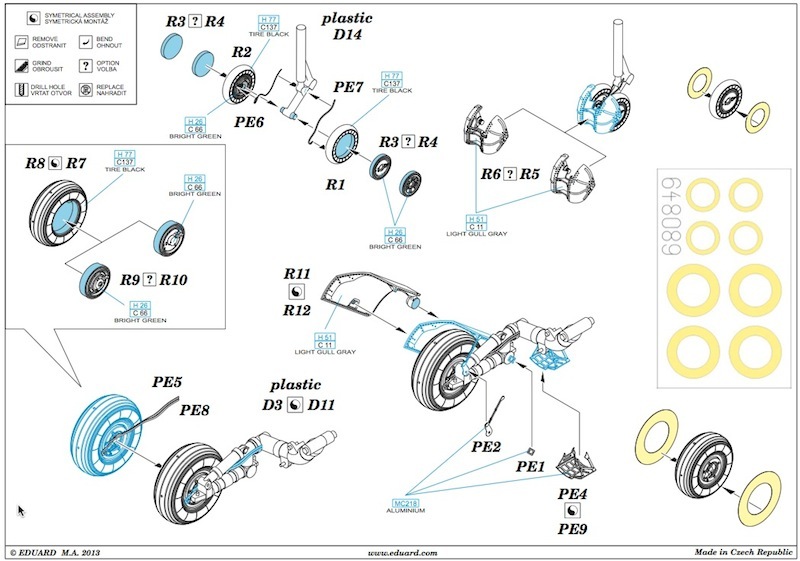 The two variants of the nose wheel hub discs are provided - check your references. 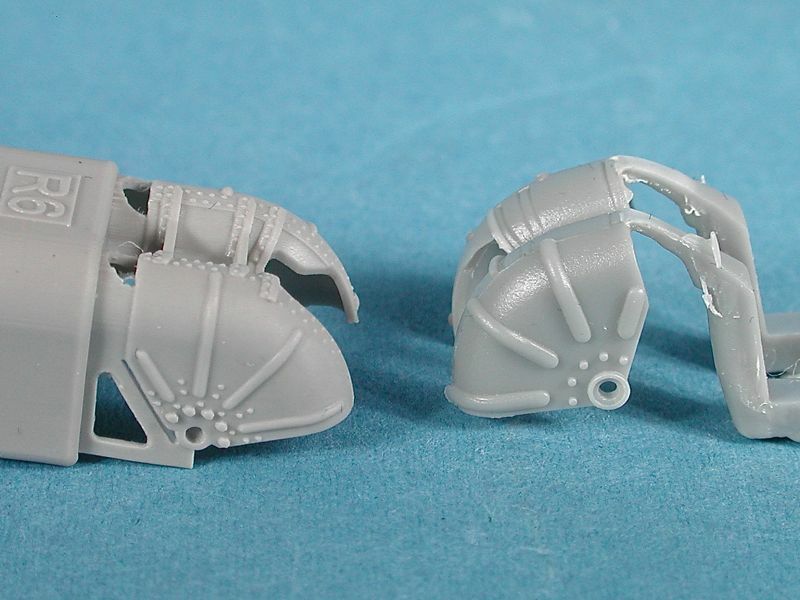 Eduard have included of course their usual easy to follow instructions with the set. 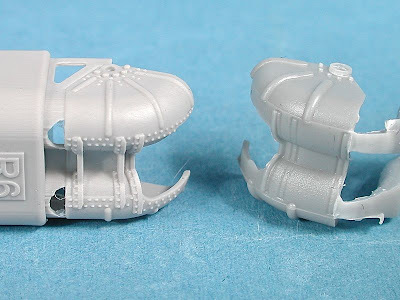 Eduard have established a well-earned reputation with their Brassin range for providing modellers with superb detail, clean resin casting and clear instructions. 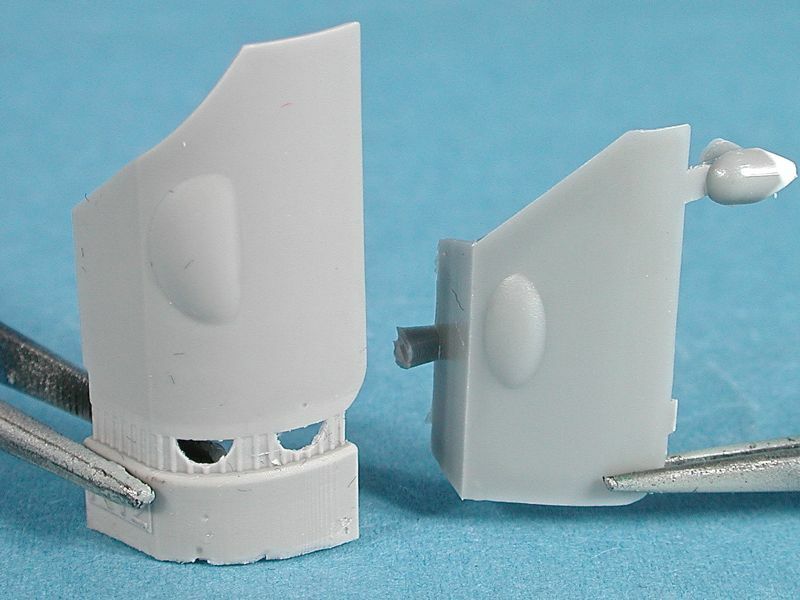 This detail up set for the Trumpeter MiG-23 kits in 1/48 continues that trend. 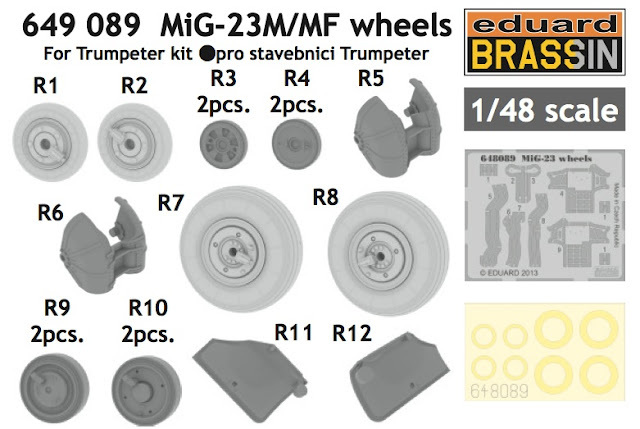 If you are looking to add that extra little sparkle to your MiG, this set is definitely recommended.